Paul Frank is my friend, and I am in love with Small Paul- and of course anything julius. 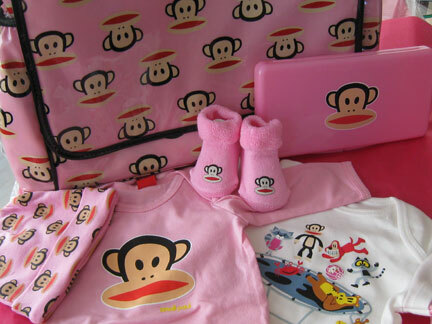 The fascination began in Las Vegas last month, when across the street from our hotel was a Paul Frank store. I think that is the only placed I shopped (and all I got were a mini monkey charm, some booties and the white onsie) and I crushed really hard on a Blue diaper bag, but couldn't see paying 80bucks! But eBay saved the day...where I found a PINK one (New with Tags! )- for half the price!-- then i had to get the matching wipe case, and even more pink goodness for Ella's first outfit home from a store called my sweet muffin. So this is just a small collection representation, compared to the items I have been picking up at Target...did you know Small Paul is at Target too? 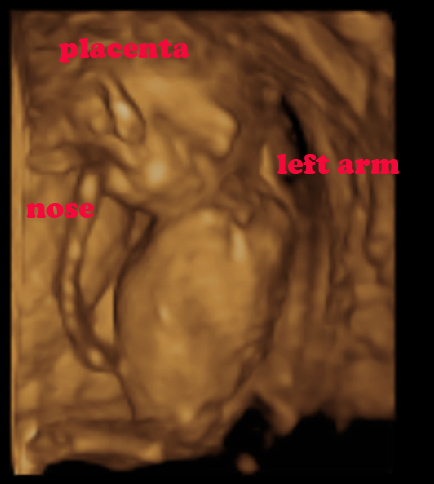 Here are a few highlight pics from our 3rd Trimester ultrasound (week 29!). And yes that is a head HAIR (verified by technician) already growing in. In the 2nd and 3rd pics I started talking to her during the ultrasound and got her to smile :D. I am so amazed with the technology, and have over 30 minutes of video and over 75 pictures that will all go in her baby scrapbook. It just makes it that much more real that she will be here soon! 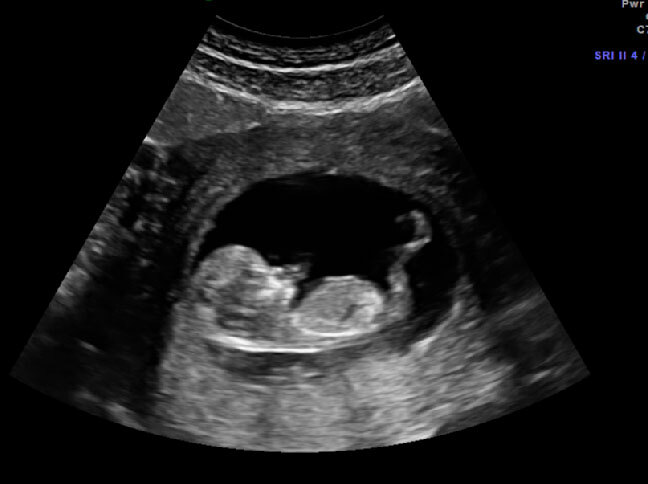 Though I wasn't expecting to find out so early (at almost 17 weeks on the June 4th appointment) Someone was ready to share. We are super excited! Here is a 4D pic, that you will either recognize baby immediately, or stare for hours like a magic eye ala Seinfeld's Mr. Pitt. Remember how excited you would be bringing something special to elementary school for show n tell time each week? Well here is my show n tell... a little something extra special due to make his/her appearance November 14th. Baby Nemo taken 4/29 at 12 weeks.